Adam Trask: If you want to give me a present, give me a good life. That's something I can value. Q: Is 'East of Eden' based on a book? "Man has a choice and it's a choice that makes him a man." 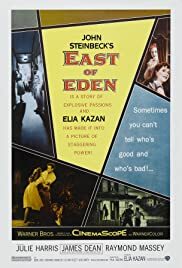 EAST OF EDEN is an emotional drama about the lives of troubled people in a provincial family.Frustrated and alienated youth are living in a small California town. The boy is in constant conflict with their own religious father, who prefers the another son. I'm thrilled with the picture. Nature is the real beauty in this film. The problematic people in this atmosphere seem more credible. This is a powerful drama with different moods and clear psychoanalysis. It is fascinating that the director establishes a better relationship with the landscape and a weaker relationship with the protagonists. Nobody's perfect. A trite but true phrase. The only question is, who will find meaning in their own imperfections. The film can recognize good and evil. This attitude affects the clarity of emotions. Fortunately, Biblical allusion is not excessive. The brothers, in a way, symbolize duality in man himself to grotesque proportions. The struggle for acceptance in the family and society, which has tragic end !? This is not only preposterous, but is dotted with a kind of illusion. 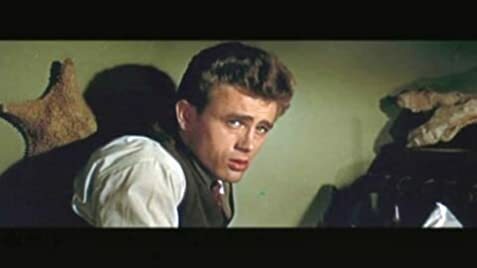 James Dean as Caleb Trask is unrepeatable, but the performance is overstated. Emotional character does not show a clear emotion. He is a hero and a villain in this film. The son who fought for an ounce of his father's love. The son, who is trying to buy his father's love. The protagonist who has a frank and somewhat noble purpose in life. James Dean is a strange combination between Marlon Brando and Montgomery Clift. Julie Harris as Abra Bacon is a young and inexperienced lady, who is forced to choose between the perfect son (the good guy) and imperfect son (the bad guy). Of course, she is not good enough for the perfect son, but she matures in time to save imperfect. Very good performance, I have to admit. Raymond Massey as Adam Trask in the role of the "perfect" and the strictly religious father. I can understand his seriousness, sense of justice, and even fanatical devotion, but persistent refusing attitude against his son I will never understand. I tried to find a reason at some redemption, but again I have not found a deeper meaning. Richard Davalos as Aron Trask was the perfect son. I felt resentment and envy in his character. Of course, after the knowledge of the life of his mother. That's awesome. The protagonist who believes in the eternal triumph of good over evil. Characterization is very bad in this case. Jo Van Fleet as Cathy Ames is the mother described as a monster without a shred of love. The evil that is necessary for the story. This movie is only a part of the novel and I made conclusions based on that.